What would a world without Boost mean for Portland Trail Blazers All-Star point guard Damian Lillard? What would a world without Boost mean for Portland Trail Blazers All-Star point guard Damian Lillard? Today, adidas gives us a fictional and humorous look in their new ‘Boost or Bust’ video. 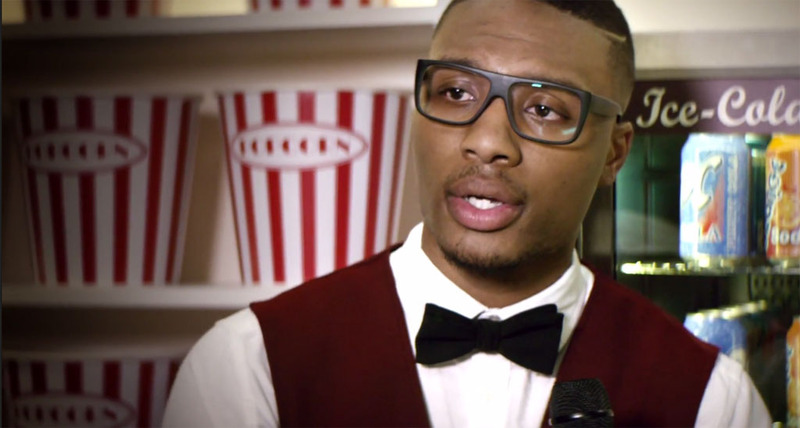 The clip features Lillard, who in the world of ‘Bust,’ is a popcorn-slinging movie theatre employee being interviewed by Turner Sports sideline reporter Rachel Nichols. Then, there’s a transformation to the world of ‘Boost,’ where Lillard is back in All-Star form on the court. ‘Boost or Bust’ will continue with social, print and online presence and features additional adidas athletes including Joakim Noah, Jrue Holiday, Jeff Teague and Mike Conley. This season, Lillard will wear a special edition print colorway of the Crazylight Boost that will be available September 1 for $140 at adidas.com. Keep up with the conversation at facebook.com/adidasbasketball and on Twitter and Instagram at @adidasHoops using hash tag #Boost.